On a recent trip to Cannes, France, I came across this rather awkward PSN on the Rue D’Antibes. 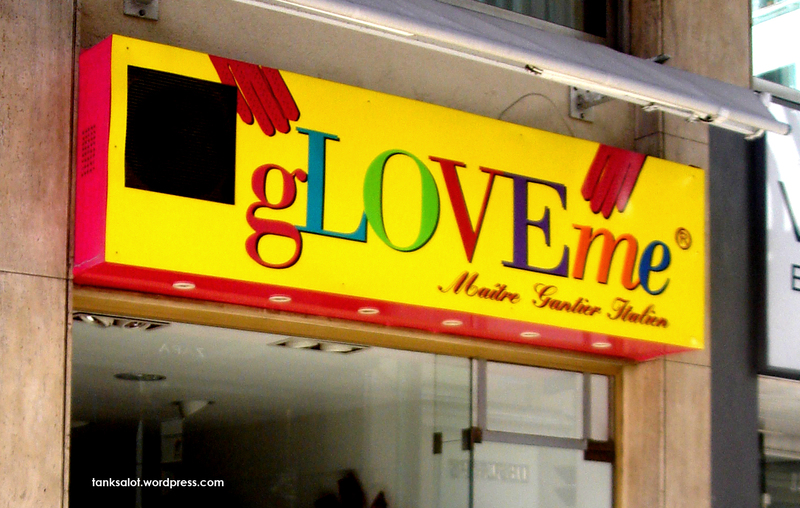 To the French, it might be a cute play on ‘love’ and ‘glove’, but to me it sounds like something you wouldn’t want to say in an airport. Or hear in a nightclub.